To start the year off right, Justice Hub is today publishing the first of a series of exclusive interviews with esteemed African judges. The interviews, which will run for the next few weeks, took place when the judges were visiting The Hague. They’re part of our popular #MyJustice series that aims to shine a spotlight on sung and unsung heroes working to make the world a more peaceful, just and inclusive place. 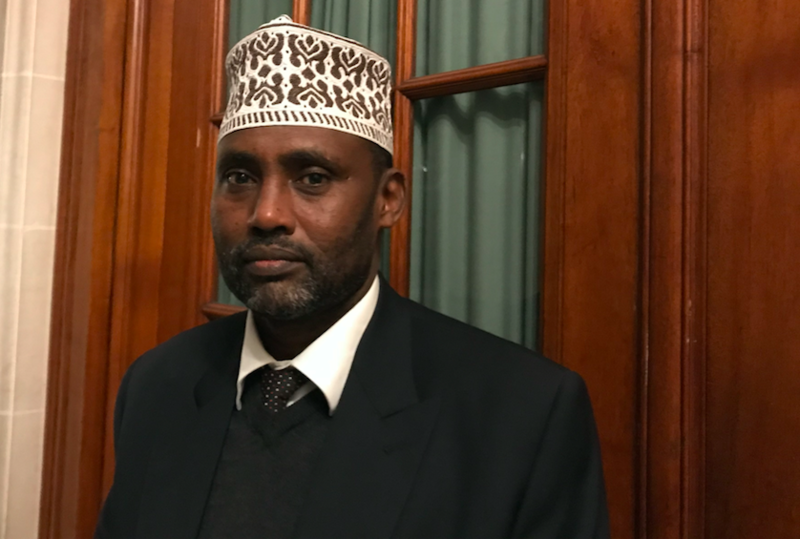 In this first interview, Somali Chief justice Ibrahim Iidle Saleeban opens up about what justice means to him and shares some hard-won insight into what fighting for justice means in a country like Somalia. Justice Hub: Could you tell our readers a little about yourself? My name is Ibrahim Iidle Saleeban, Somali Chief justice. I am very happy to be here. Before this trip, it was kind of a dream to be in the Peace Palace in The Hague but right now it’s a reality. Something that was not reality yesterday can be a reality tomorrow. This is what happened and I’m very happy to meet you and to actually see the Peace Palace. This palace, in my opinion, represents the entire nations of the world because from experience during this trip, I have respectfully learned that every country more or less contributed to the building of this palace. It is something that can be memorialised forever. Also, it doesn’t represent a specific civilisation or continent but is for all. 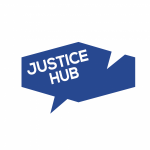 Justice Hub: What is your view of justice? The word justice means for me giving every person or human his rights and protecting them from any violence. It means restraining the hands of those who have the intention to violate the rights and liberty of others whether they are individuals, organisations or states against other states. Justice aims to have everybody to be free from worry, free from violence, free from any fear against his liberty and rights. Justice Hub: Is justice possible? Justice is possible. What we are struggling with day and night, morning and afternoon is to bring justice to be done. We are not politicians but we are soldiers for justice. We are starved for justice wherever we are and whenever we are. Justice Hub: What are the main challenges you face in Somalia to achieve justice? The main challenge is peace and security. You see, there is a relationship between peace and justice, and justice struggles to bring peace. Peace cannot come without justice and justice cannot be provided without peace and stability. That’s the reality. This series of interviews with African judges were conducted in collaboration with the African Foundation for International Law and edited lightly for clarity. To start the year off right, Justice Hub is today publishing the first of a series of exclusive interviews with esteemed African judges. The interviews, which will run for the next few weeks, took place when the judges were visiting The Hague. They're part of <a href="https://justicehub.org/tag/my-justice">our popular #MyJustice series</a> that aims to shine a spotlight on sung and unsung heroes working to make the world a more peaceful, just and inclusive place. In this first interview, <a href="https://www.middleeastmonitor.com/20170905-somalia-chief-justice-suspends-18-judges/">Somali Chief justice Ibrahim Iidle Saleeban</a> opens up about what justice means to him and shares some hard-won insight into what fighting for justice means in a country like Somalia. <strong>Justice Hub: Could you tell our readers a little about yourself? </strong> My name is Ibrahim Iidle Saleeban, Somali Chief justice. I am very happy to be here. Before this trip, it was kind of a dream to be in the <a href="https://en.wikipedia.org/wiki/Peace_Palace">Peace Palace</a> in The Hague but right now it's a reality. Something that was not reality yesterday can be a reality tomorrow. This is what happened and I’m very happy to meet you and to actually see the Peace Palace. This palace, in my opinion, represents the entire nations of the world because from experience during this trip, I have respectfully learned that every country more or less contributed to the building of this palace. It is something that can be memorialised forever. Also, it doesn't represent a specific civilisation or continent but is for all. <strong>Justice Hub: What is your view of justice? </strong> The word justice means for me giving every person or human his rights and protecting them from any violence. It means restraining the hands of those who have the intention to violate the rights and liberty of others whether they are individuals, organisations or states against other states. Justice aims to have everybody to be free from worry, free from violence, free from any fear against his liberty and rights. <strong>Justice Hub: Is justice possible? </strong> Justice is possible. What we are struggling with day and night, morning and afternoon is to bring justice to be done. We are not politicians but we are soldiers for justice. We are starved for justice wherever we are and whenever we are. <strong>Justice Hub: What are the main challenges you face in Somalia to achieve justice? </strong> The main challenge is peace and security. You see, there is a relationship between peace and justice, and justice struggles to bring peace. Peace cannot come without justice and justice cannot be provided without peace and stability. That’s the reality. <em>Photo: Janet Anderson/Justice Hub</em> This series of interviews with African judges were conducted in collaboration with the <a href="http://www.afil-fadi.org/" target="_blank" rel="noopener">African Foundation for International Law</a> and edited lightly for clarity.